During a recent CTOA conference at VMware HQ, Chris Wolf (CTO, Global Field and Industry at VMware) demonstrated ESXi ARM on a Raspberry Pi. He went on to challenge all the CTOA members to promote ESXi on ARM with the VMware Community. The real challenge was — How do you show your customer something new, especially when the product has not released yet? 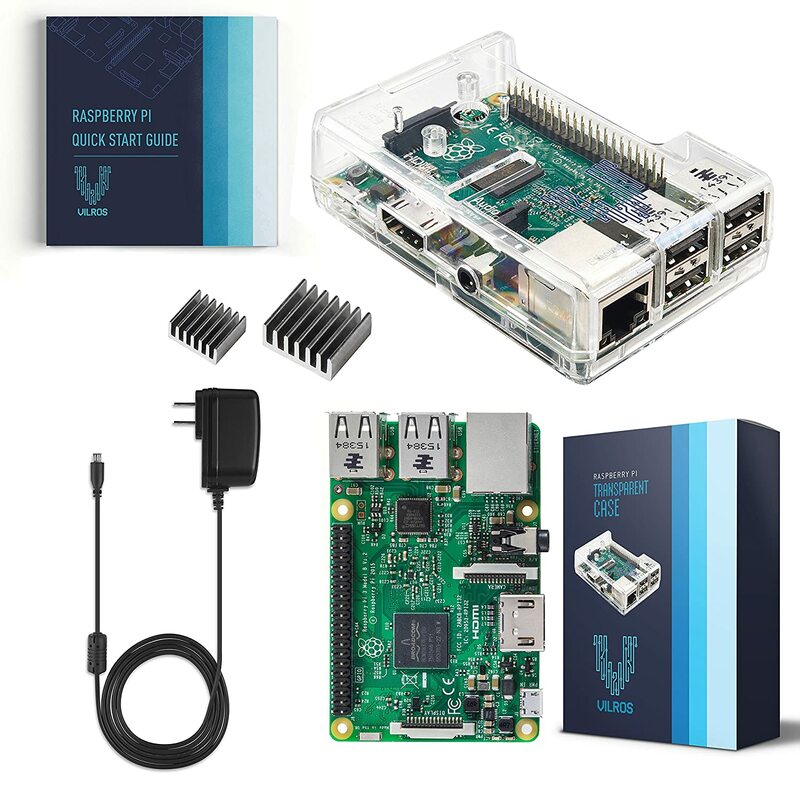 The answer — Supply your all the CTOAs with Raspberry Pi pre-loaded with ESXi for ARM! You can find the specs on the kit they got us from Amazon. They added in a 32GB SD card used to boot ESXi for ARM. Overall the kit was pretty easy to assemble and it was similar to the Motorola 6800 Trainers I used at DeVry. Similar how you may ask? The Pi has the Extended GPIO 40 Pin (general-purpose input/output) pins along the top edge of the board. A 40-pin GPIO header is found on all current Raspberry Pi boards. Prior to the Pi 1 Model B+ (2014), boards comprised a shorter 26-pin header. Any of the GPIO pins can be designated (in software) as an input or output pin and used for a wide range of purposes. The DeVry 6800 Trainer had a similar I/O pin out where we could create projects. My senior class project was a home security system running on this trainer. We build a model home with alarm sensors, interfaced those senors into the trainer, and I wrote all the code to create the security program. In many ways this Raspberry Pi is very similar to the DeVry Trainer, only you needed to understand low level Machine Code specific for the 6800 CPU but the Pi pretty much works with most object oriented languages of today. I’m looking forward to working with the Pi and plan to post up some videos of ESXi on ARM soon. I was doing some testing the other day and had migrated about 25 test VM’s to a Virtual Distributed Switch (vDS) from a Standard Switch (vSS). However, to complete my testing I needed the VM’s to be migrated back to a vSS and delete the vDS entirely. In this blog I’m going to document the steps I took to accomplish this. First step in completing this migration is to migrate the VM’s port groups from the vDS Port group to the vSS port group. One Option could be editing each VM but with 24 VM’s each with 2 vNICS, that would be about 100+ clicks to complete = very slow. However, a more efficient way is to use the vDS migrate VM’s option. Note: If I wanted to migrate individual vNIC vs all, I could have expanded each VM and then choose which network adapter I wanted to migrate. Finally, now that all VM’s have been removed from the vDS Port group I can remove the vDS switch from my test environment. This entry was posted in Networking, vmware. Here is a great list of the VMworld 2018 sessions. Thank you to William Lam and Hadleigh Rush (both with VMware) for creating and organizing this great list. This is their work, but I did want to post it to be shared further with others. This entry was posted in VMUG, vmware, VMworld. VMworld 2018 is just around the corner and I’m really looking forward to this years event. Can’t wait to reconnect with a lot of my friends in the virtualization industry and hear what they’ve been up to this past year! This will be VMworld #10 for me and it is the one event I look forward too every year. Here is a quick run down of some of the events I’ll be doing so I do hope our paths cross. vExpert HOL Tour — If you are a vExpert I’ll be leading the HOL Tour on Monday and Thursday. If you didn’t get an invite reach out and we’ll make sure you do! Meet up — If you’d like to chat or meet up during the event feel free to reach out to me on Twitter @vmexplorer I’d love to chat with you about all things virtualization, IoT, etc. Have a great show — Lastly, if you need help navigating VMworld feel free to stop by my booth in the solutions exchange. I’ll be glad to help out and ensure you have a great experience. Enjoy the show! The next step on my InfiniBand home lab journey was getting the InfiniBand HCAs to play nice with ESXi. To do this I need to update the HCA firmware, this proved to be a bit of a challenge. In this blog post I go into how I solved this issue and got them working with ESXi 6.5. My initial HCA selection was the ConnectX aka HP INFINIBAND 4X DDR PCI-E HCA CARD 452372-001, and Mellanox MHGA28-XTC InfiniHost III HCA these two cards proved to be a challenge when updating their firmware. I tried all types of operating systems, different drivers, different mobos, and MFT tools versions but they would not update or be OS recognized. Only thing I didn’t try was Linux OS. The Mellanox forums are filled with folks trying to solve these issues with mixed success. I went with these cheaper cards and they simply do not have the product support necessary. I don’t recommend the use of these cards with ESXi and have migrated to a ConnectX-3 which you will see below. After a little trial and error here is how I updated the firmware on the ConnectX 3. I found the ConnectX 3 card worked very well with Windows 2012 and I was able to install the latest Mellanox OFED for Windows (aka Windows Drivers for Mellanox HCA card) and updated the firmware very smoothly. Next, it’s time to update the HCA firmware. To do this you need to know the exact model number and sometimes the card revision. Normally this information can be found on the back of your HCA. With this in hand go to the Mellanox firmware page and locate your card then download the update. Tip: If you are having trouble with your Mellanox HCA I highly recommend the Mellanox communities. The community there is generally very responsive and helpful! I would love to tell you how easy this was, but the truth is it was hard. Again, old HCA’s with new ESXi doesn’t equal easy or simple to install but it does equal Home lab fun. Let me save you hours of work. Here is the simple solution when trying to get Mellanox ConnextX Cards working with ESXi 6.5. In the end I was able to get ESXi 6.5 working with my ConnectX Card (aka HP INFINIBAND 4X DDR PCI-E HCA CARD 452372-001) and with my ConnectX-3 CX354A. Tip: I do not recommend the use of the ConnectX Card (aka HP INFINIBAND 4X DDR PCI-E HCA CARD 452372-001) with ESXi 6.x. No matter how I tried I could not update its firmware and it has VERY limited or non-existent support. Save time go with ConnectX-3 or above. After I installed ESXi 6.5 I followed the following commands and it worked like a champ. Install Mellanox OFED 1.8.2.5 for ESXi 6.x. After a quick reboot, I got 40Gb networking up and running. I did a few vmkpings between hosts and they ping perfectly. So, what’s next? Now that I have the HCA working I need to get VSAN (if possible) working with my new highspeed network, but this folks is another post. This entry was posted in ESXi, Home Lab, InfiniBand, Networking, Virtual SAN, VMUG, vmware, VSAN, Whitebox. I’ve been lucky enough to make it to very VMworld since 2008 but it wasn’t always easy getting there. Being the former Phoenix VMUG leader and currently a 7-year VMware employee I’ve come across all types of VMworld tips. In this blog post I’ll share those tips to help turn your No into a Yes. Setting your goals on VMworld — Okay, so you got the big No from your employer. Normal reasons for a denial are “costs too much”, “value”, or “we can’t afford to have you away”. Fair enough, but the real question should be – how prepared were you to support you ask? Imagine you are the manager and an employee somewhat casually asked you to spend $1000’s to go to an event you may never even heard of. What would your reaction be? Chances are you’d say no too. In this blog post I list out my tips to help enable you to be successful. #1 Make VMworld your goal and your focus! Set a goal to attend VMworld – Say it again “Set a GOAL to attend VMworld” Think about it this way — you know VMworld is going to happen, so why not add it to your yearly goals? Even if your company doesn’t have goal planning then start a personal list and think about how to achieve this goal. Next, don’t do this alone. Do you have someone who can help support your goal? Maybe it is a fellow employee, VMware account team, VMware TAM, VMUG leader / Users, and most importantly don’t forget about your partners that support the VMware community. Talk with them, tell them about your goals and the reasons why you want to achieve them, see how they can help support you. Finally, imitation is the sincerest form of flattery. Are other employees successful in going to training, conferences, or events? Clearly, they are successful with their requests, so why not work with them on your goals and find new ways to be successful. Keep this in mind “We achieve what we focus on the most”. If getting to VMworld was easy for everyone then I wouldn’t be writing this blog post. If you are being turned down year after year, you might consider a change of focus. Your focus should be known but not annoying. In other words, let others know that VMware and getting to VMworld is what you are passionate about. Let them know how VMware technologies help innovate your company, how it reduces downtime, how it makes you all more secure, etc. etc. By letting others know and understand your passion you’ll go from the person asking to go, to your VMware thought leader and soon management will be coming to you telling you to go to VMworld vs. you asking to go. Having your employer pick of the tab can be a challenge. Your plan should include the total cost to attend, how you plan to fund it, and keep in mind this cost can be quite high for some companies on a tight budget. My suggestion is if you are getting the big ‘No’ due to costs then work with your company around the total costs. First find out why it’s a ‘No’ and look for opportunities to overcome this, then use my tips below to enhance your plan. In general, your fist challenges in subsidizing cost maybe your company’s policy around accepting gifts. Understand this policy well, don’t just take someone’s word as there maybe ways to accept gifts under specific circumstances. Read the current policy and ask the policy writers questions to better understand it. Explore your company – Talk with your travel department or even HR/Benefits around funding sources as there maybe programs to help employees with Education and events. Point is, ask and explore you never know what you will find and be able to achieve. How do I get a free VMworld Pass aka the Golden Ticket? This can be your biggest challenge. However here are some ways to get your hands on one. Keep in mind not all contests are the same, some are based on random drawing and others are not. This is why I say keep in contact with the vendor. Tell your boss, workmates, vendors, partners, use twitter, linked in etc. and Repeat again and again. By doing this you let others know about your strong interest in getting there, in turn they might get a lead for you. Most importantly, reach out to your local VMUG leader and ask them for tips in your area. They are usually well connected and might have a lead for you as well. Follow Twitter and Linked In – You never know who is going to post up “I have a pass, I cannot go, and need to give it to someone” This is pretty common just before the event and yes you can transfer a pass to someone. If you get offered this pass take it. I can’t tell you how many vendors have these passes and cannot give them away, seriously this is gold but folks don’t know how to leverage them. Second this pass can get you on to the Solutions Exchange floor where all the vendors and partners are. Third while you are there with an Expo Pass use Twitter and the VMworld hash tags to let folks know you’re here and you are looking for a full pass. If you have deal on the table with a vendor coming up, inquire if they can put passes in the deal. What about Food, Hotel, and Travel Costs? There will be free food everywhere, in-fact feel free to give some to the homeless I usually do. Finally here is a breakdown of how I got to so many events and how/who paid for it…. My take is, if you REALLY want to go you’ll get there but sometimes it takes effort to do so and if you do it right it might not cost you a thing. Don’t let anything stop you and find your way there. Finally, after you’ve been to the event don’t forget about the folks who got you there and say ‘Thank you’. Then over the next year continue to build these relationship as you never know if you’ll need help again, or you want to help someone else get there. Best of luck and do reach out with suggestions, comments, or great stories around how you got there! Today I wanted to look at the Cooler Master Elite 110 and compare it a bit to some other cases. Inside the Elite 110, there are your standard edge cables (USB, Audio, Switches, and lights). The Power button is located in front bottom center and is the Cool Master logo. On the right hand side are all your typical USB 3.0, Audio, Reset and HDD LED. The case allows for a maximum of 3 x 3.5″ or 4 x 2.5″ disk drives. You can also work this into different combinations. For example – 3 x 3.5″ HDD and 1 x 2.5″ SDD, could make a VSAN Hybrid combination or 3 x 2.5″ SDD for VSAN All Flash and 1 x 3.5″ for the boot disk. The mount point for these disk drives can be mount to the lefthand side and top. When mounting the disks I found it better to mount the SATA and power connectors to the rear. Left Side Mount – Only allows for 1 x 3.5″ or 2 x 2.5″ disk drives. In this photo I’m showing the 3.5″ disk mounted in its only position and the 2.5″ disk is unmounted to show some of the mount points. The Rear of the case will allow for a standard ATX power supply, which sticks out about an inch. The case also supports two PCI Slots which should be enough for most ITX motherboards with one or two PCI Slots. Inside we find only 4 Motherboard pre-threaded mount points and a 120 mm fan. The fans power cable can connect to the power supply or to your motherboard. Quick Summary – The Elite 110 is a nice budget case. Depending on your use case it could make a nice case for your home lab, NAS server or even a VSAN box. Its footprint is a bit too big for those appliance-based needs and the case metal is thin. I don’t like the fact there are only 4 mount points for your motherboard, this is great for an ITX Single PCI Slot but not so good for Dual. This is not a fault of the Elite 110 but more of an ATX/mATX/ITX standards problem. With no mount points for the second PCI slot it puts a lot of pressure on your motherboard during insertion. This could lead to cards being miss-inserted. Overall for the $35 I spent on this case it’s a pretty good value. Further photos can be found here on NewEgg and if you hurry the case is $28 with a rebate. This entry was posted in ESXi, Home Lab, VSAN, Whitebox. VMWORLD 2018 is right around the corner and its time for ‘call for papers’. Call for Papers opened on February 13 and ends on March 13. Proposals can be considered for VMworld US, Europe, or Both. Follow the guidelines EXACTLY – this is the number one reason why abstracts are rejected. Before you submit – Have your peers review your submission, gather their feedback and improve it. If you want I’d be glad to review your submission, just ask me nicely. Good luck and I hope you are selected! This entry was posted in VMUG, VMworld. FREE 5-partVMware NSX webcast series! The VMware education department is starting a 5 Session NSX webcast for free. Below is information on session one starting on February 01, 2018. However, when you click on the RSVP button you’ll have the option to register for all 5 sessions! I’d recommend registering now and take advantage of this great opportunity. TIP: After going to the RSVP webpage, pay attention to the session description. Because sessions are in different regions (AMER, APJ, and EMEA). I’d suggest choosing one closest to your region. Here are the Sessions descriptions for AMER. All locations seem to be have the same description, the only exception would be their timezone. Can you automate your Software-Defined Data Center (SDDC) without automating network services? Of course not! In this session, we’ll discuss building your vRealize Automation blueprints with automated network services deployments from VMware NSX. Did you know that more than 1.5 billion data records were compromised in the first half of 2017? Experts are expecting these numbers to grow. Are you prepared? Join us to learn how a design based on VMware vSphere and VMware NSX can help you protect the integrity of your information as well as your organization. Among the areas covered will be the VMware ESXi host within vSphere that includes the host firewall and virtual machine encryption, along with the VMware vCenter layer that provides certificate management. We’ll also dive into a number of features within NSX, including the distributed Logical Router and Distributed Firewall that protect traffic within the data center and the Edge Services Gateway that secures north/south traffic through the edge firewall and virtual private network. The VMware NSX controllers are the central control point for all logical switches within a network and maintain information for all virtual machines, hosts, logical switches, and VXLANs. If you ever wanted to efficiently troubleshoot end-to-end communications in an NSX environment, it is imperative to understand the role of the NSX controllers, what information they maintain, and how the tables are populated. Well look no further. Give us an hour and you will see the various agents that the NSX controllers use for proper functionality. Use the NSX Central CLI to display the contents of the VTEP, MAC, and ARP tables. We will examine scenarios that would cause the contents of these tables to change and confirm the updates. Finally, we will examine, in detail, Controller Disconnected Operation and how this feature can minimize downtime. The VMware NSX Distributed Firewall (DFW) is the hottest topic within the NSX community. It is the WOW of micro-segmentation. But many questions arise. Who made the rule? Who changed the rule? Is the rule working? Where are these packets being stopped? Why aren’t these packets getting through? What is happening with my implementation of the DFW? These questions can be answered using the native NSX tools. We will give you an overview on how to track, manage, and troubleshoot packets traveling through the DFW using a combination of User Interface (UI) tools, the VMware Command Line Interface (vCLI) to view logs manually, and integrating with VMware vRealize Log Insight (vRLI) and VMware vRealize Network Insight (vRNI). Great VSAN 6.6 Network Primer Video! What I found beneficial was the information around the Network Unicast and vCenter Server new role with VSAN host tracking. Both topics are well work a look and it starts @19:22 in the video. Here is the topic breakdown if you want to go to a specific section. @39:37 – SC Why not L2 only traffic? This entry was posted in vCenter Server, Virtual SAN, VSAN.